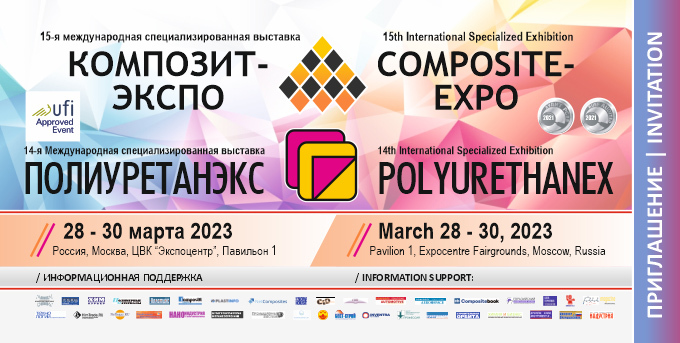 To book a stand at the 11th Polyurethanex 2019 Exhibition please use the online-form. Venue: Pavilion 1, Expocentre Fairgrounds, Moscow, Russia. This is the workshop for the exhibitors to do presentations about their new products, materials & technologies. Use the online registration form and get your free invitation for 11th Polyurethanex 2019. The invitation is valid for the 12th Composite-Expo 2019 Exhibition and as well.